“We cause as much pain by taking offense, as by giving it.” -Eleanor Roosevelt. On the Fourth, we Celebrate our nation's Independence Day, an occasion that might not have still been possible were it not for another day that occurred in 1945. June Hogue's article reminds us of the final signing of the Japanese Surrender to end WWII along with some personal memories and a link to a historic video that allows us to hear the actual voice of General MacArthur on that day. Leo C. Helmer ("Cookin' With Leo") gives us a recipe to help us celebrate the date without having to get outside in the scorching heat to serve up a great meal. Peg Jones ("Angel Whispers") passes on the message to care for ourselves during the summer, while John I. Blair indulges in some nostalgic WWII memories in "Always Looking - Little Things Lost." We have Mattie Lennon with "Irish Eyes," Thomas F. O'Neill with "Introspective," and "Eric Shackle's Column" includes an interview with himself for his 1000th story and shows a four generation pic: him, etc. Eric's article is part comical, part curious about the "OGOPOGO: Canada's Loch Ness Monster." Eleven poems this month: two by John I. Blair, "Papers" and "Young Sparrows at The Water Basins;" Bruce Clifford's four are "Can I Trust My Heart With You," "Again Tonight," "Walking in Reverse," and "Unkind." Bud Lemire adds "Intersections," "It's Where We Go," "Through The Cemetery," "Good Enough for Me," and "Two Artists." 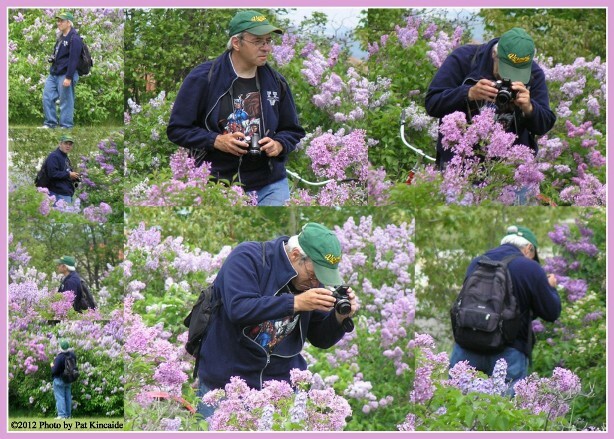 Bud has another hobby, photography, and the pic at the bottom of this page is one a friend, ©2012Pat Kincaide, took of him recently while he was filming butterflies among the lilacs near his home. Mark Crocker has added more to his second book of Rabbo Tales, "Rabbo II -Chapter 6, Help." 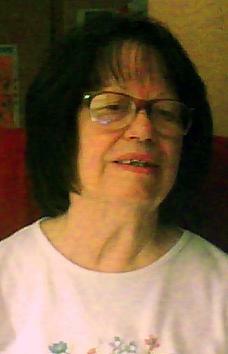 Previous chapters of this tale can be accessed by clicking the author's name.